Anthem Properties’ has given us a first look at the first phase of its much anticipated ‘Georgetown’ development at 102 Avenue between King George Blvd and Whalley Blvd. 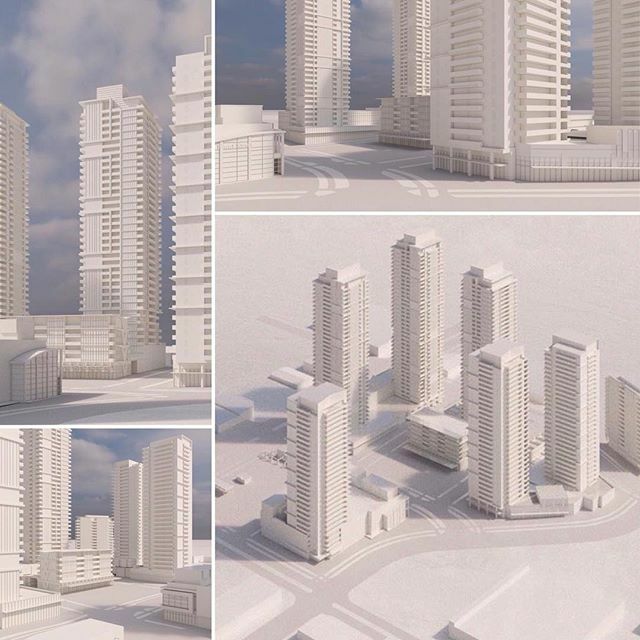 According to the Fall 2017 Anthem Newsletter, the project, which will include 6 residential towers in total above a mix of office, retail, and townhomes, will begin with a single 30-storey tower above a grocery store and retail at the corner of Whalley Blvd and 102 Avenue. While the render indicates a targeted construction begin date of Summer 2018, it could be more likely 2019 given the project has not yet received preliminary or final approval, and has yet to begin marketing units. The new tower and retail will replace a standalone A&W restaurant currently on the corner, along with underutilized surface parking. The first phase will also dedicate and construct a new section of 102A Avenue through the site, connecting Whalley Blvd to King George Blvd, and eventually continue west through to the GEC Education Mega Centre and Surrey Central Station. 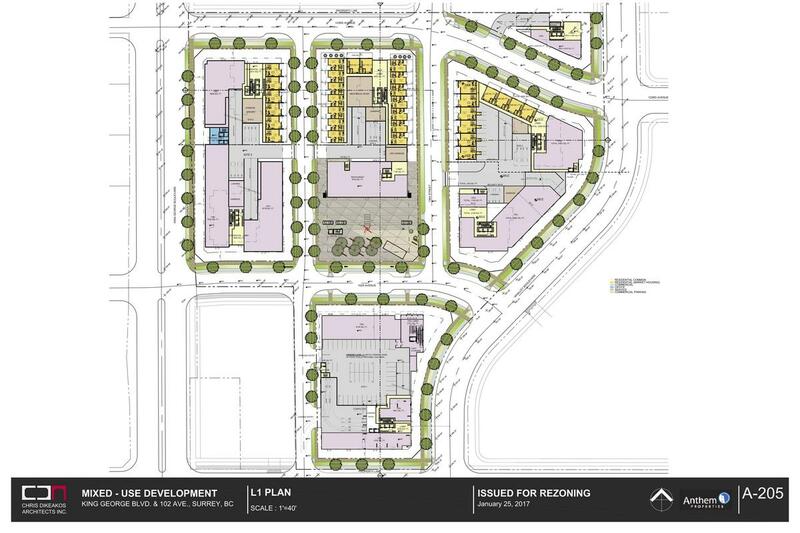 Future phases to the north of 102A will replace the current Save-on-Foods and Canadian Tire stores with a mix of retail, residential, office, townhomes, and plaza space, along with 3 more new streets, including a new section of Central Avenue. 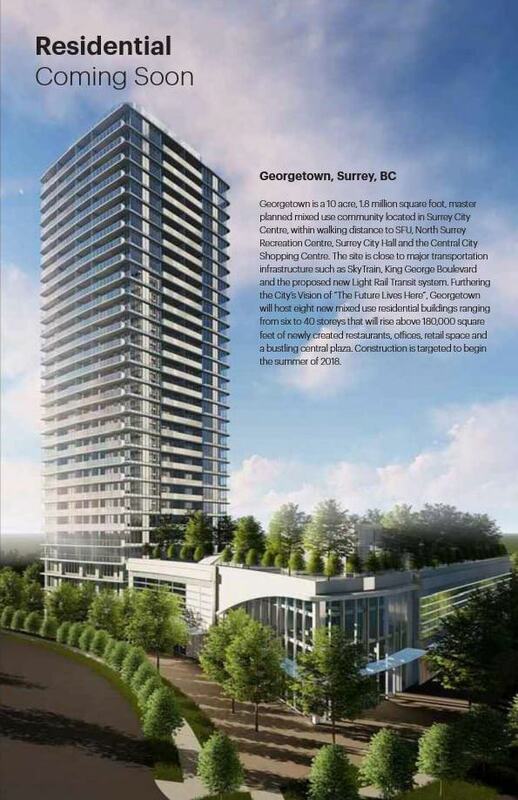 Posted on October 30, 2017 February 18, 2018 by UrbanSurreyPosted in Development, NewsTagged Anthem Properties, Georgetown, Surrey City Centre.